In a decision being lauded by wildlife conservations, a U.S. district judge ruled on Wednesday to reinstate Endangered Species protections for grey wolves in Wyoming - effectively bringing an end to what many saw as "anti-wolf" policies. The reintroduction of grey wolves into the Western United States is considered one of the Endangered Species Act's greatest success stories. 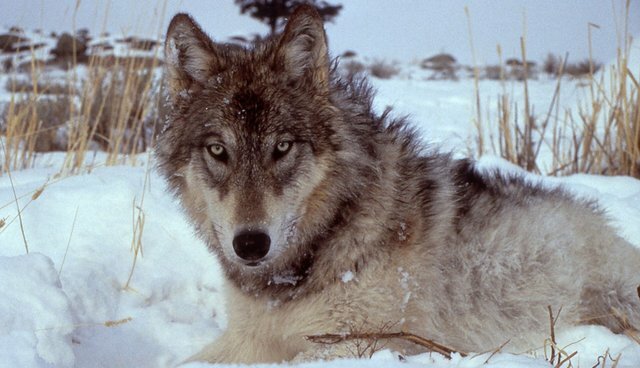 From a small population of wolves released into the wild of Wyoming's Yellowstone National Park in the mid-1990s, Federal protections allowed the animals to reclaim a foothold in several states where they had been driven to extinction from excessive hunting. In 2012, the U.S. Fish & Wildlife Service announced that Wyoming's wolves had recovered sufficiently enough for the species to be delisted based on figures provided by the state. State officials were then given control over the animals' future protections - a responsibility, conservationists say, they mishandled. Tim Preso, an attorney for the group Earthjustice, says Wyoming soon enacted a "kill-on-sight approach to wolf management," allowing for the animals to be hunted without limits throughout most of the state. Since being delisted, 219 wolves have been killed out of an estimated total of 1,600 in Wyoming. Judge Amy Berman Jackson cited a lack of oversight in the USFWS's delisting of wolves, so she overturned it in her decision. "Today's ruling restores much-needed federal protection to wolves throughout Wyoming, which allowed killing along the borders of Yellowstone National Park and throughout national forest lands south of Jackson Hole where wolves were treated as vermin under state management," writes Preso. "We're thrilled that protections for Wyoming's fragile population of wolves have been restored," he said. "With Wyoming allowing wolves to be shot on sight across more than 80 percent of the state, there is no way protections for wolves should have ever been removed."